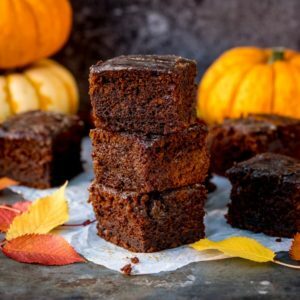 Pumpkin Gingerbread Cake with Sticky Whisky Glaze – this is bonfire night all wrapped up in one bite! I’ve only really started to like gingerbread cake in the last few years. Despite the fact that I’m 38 (OMG that looks so much worse when I write it down!! ), I only feel like I’ve grown into being a proper adult in the last few years. Perhaps it was starting the blog and then trying to turn it into a business – making my own decisions about the direction of my work, rather than having objectives and targets filtered down through upper management. I’m blaming (in a good way) having a child-at-heart husband and two crazy adorable kids for keeping me young. So now that I’ve actually started considering myself an adult (an adult who still loves lego movies, eating too much chocolate and not going to bed at a sensible hour), I guess my food tastes have grown up a little too. Nowadays (see – even using old-people phrases now argh!) I’d wrinkle my nose at the tuna-spaghetti-ketchup concoction I used to love for dinner when I was young. Or the cartons of strawberry Ribena I sometimes used to be paid with when I helped my mum out at the papershop. Instead I rather like a nice glass of red wine (that took me until well into my twenties to enjoy), a plate of perfectly cooked seafood (fishfingers and the aforementioned tuna used to be my limit) and grown-up desserts like tiramisu, teabreads and spicy ginger cakes. 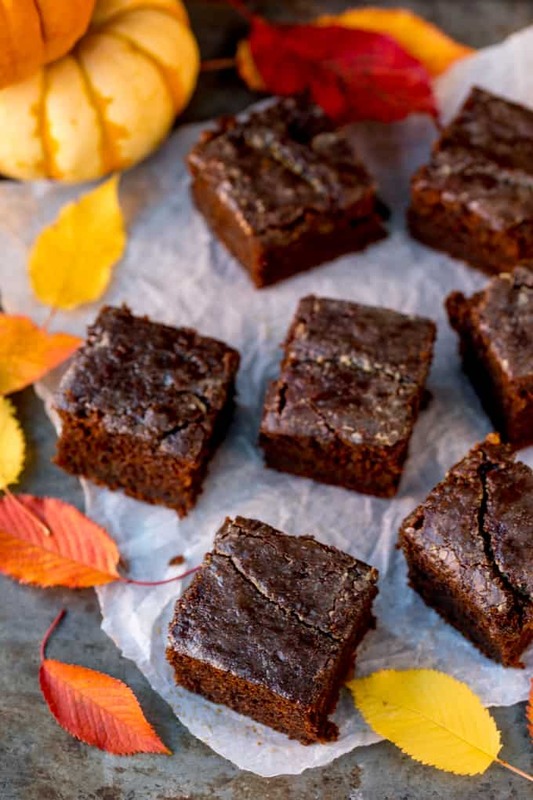 So this pumpkin gingerbread is the perfect afternoon treat. It makes a large batch, so it’s great to wrap in some foil and take out to bonfire night, or even to serve warm with custard when you get home. 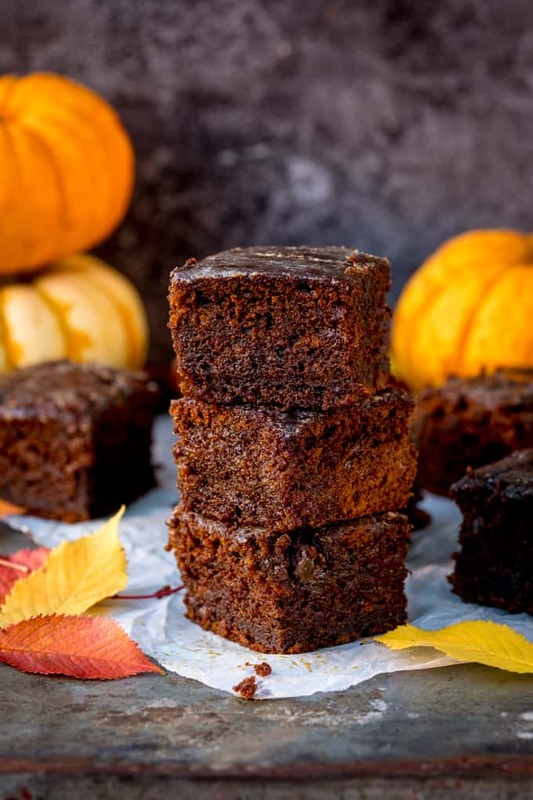 Pumpkin recipes aren’t really a huge thing in the UK – and in fact canned pumpkin can be difficult to source in smaller shops. I really wanted to make a recipe with it, and it worked to make the sponge beautifully tender. If you can’t find canned pumpkin, or don’t want to use it, you can simply leave it out and add an extra 120mls (1/2 cup) of milk. 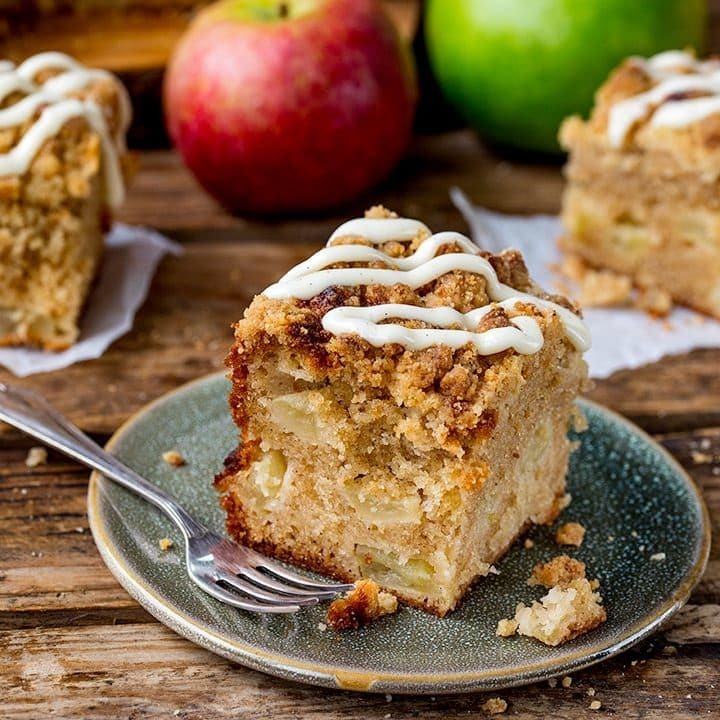 The whisky drizzle will still ensure you still get a lovely, tender, flavourful cake. Word of warning though – the whisky isn’t cooked into the cake. It’s part of the glaze on top, so it does have alcohol in it! 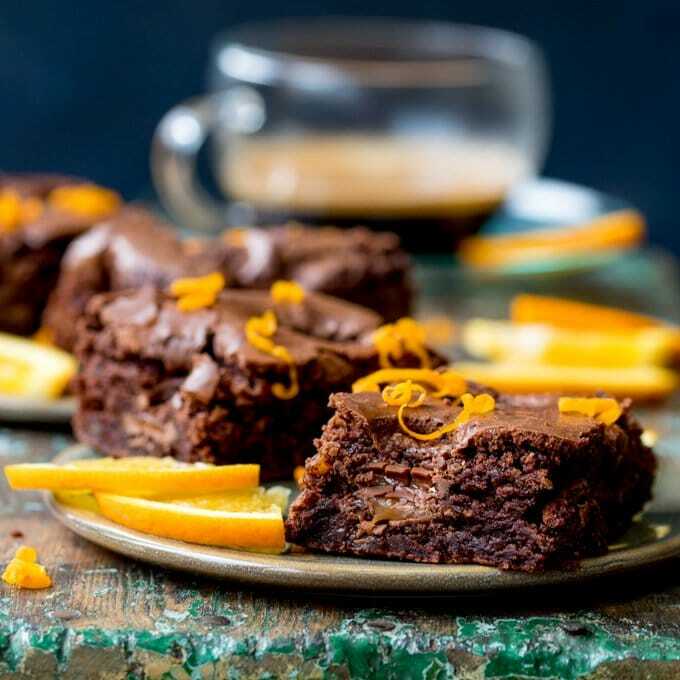 If you don’t want to use whisky, you can replace it with spiced ginger cordial or even a little water mixed with some a flavoured extract – such as vanilla, cocoa, toffee or even rum extract (<–affiliate link). 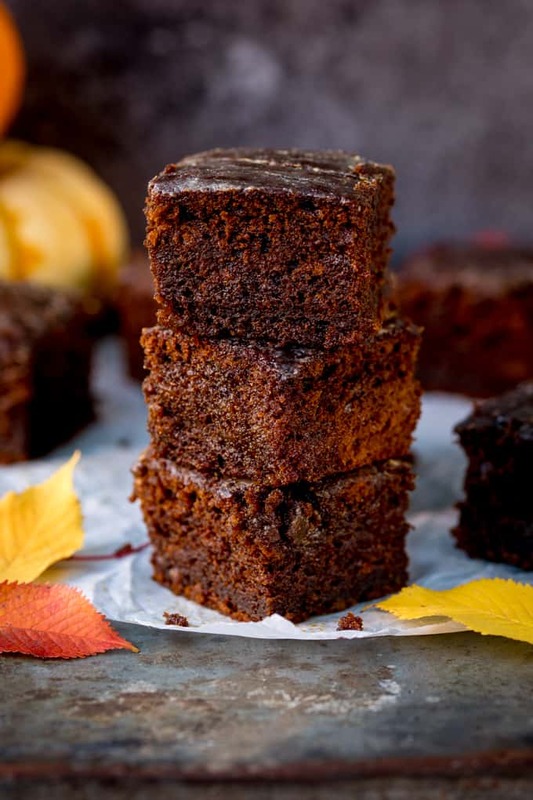 Pumpkin Gingerbread Cake with Sticky Whisky Glaze – this is bonfire night all wrapped up in one bite! Eat cold or serve warm with custard. 300 g Pumpkin puree * If you don’t want to use pumpkin in this recipe simply leave it out and add an extra 120ml (1/2 cup) milk to the mixture. Preheat the oven to 170C/325F. Line a 24cmx30cm (9 1/2 x 11 1/2-inch) baking tin with baking parchment (enough so that a little hangs over the sides). In a bowl, mix the melted butter with the treacle, honey and brown sugar until the sugar dissolves, then add in the eggs, milk and pumpkin puree. Whisk together until combined. Add in the flour, baking soda, ginger, cinnamon, cloves and stem ginger. Fold together with a spoon until combined. Pour the mixture into the baking dish, then place in the oven and cook for 45-55 minutes, until an inserted skewer comes out clean. Take out of the oven. 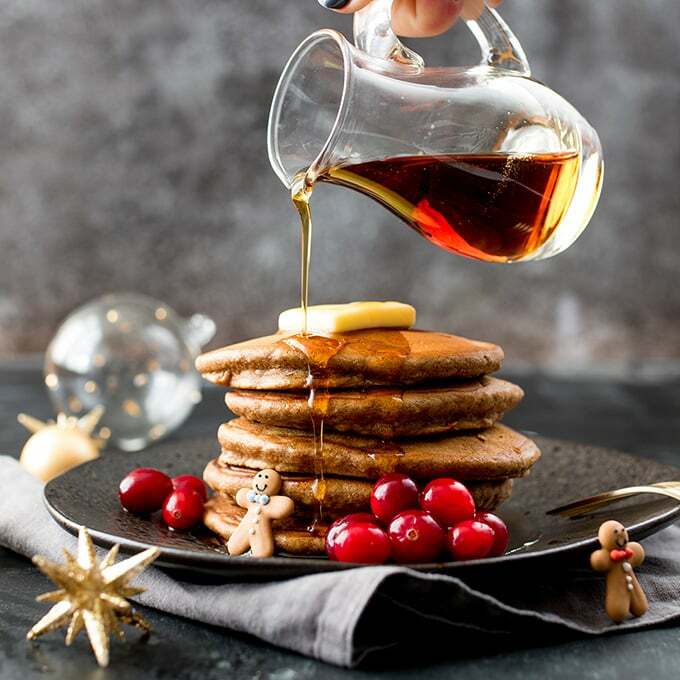 Whisk together the milk, whisky and confectioners’ sugar in a small bowl and spoon it all over the hot cake. If you find parts of the glaze starts to pool, use a spoon to try to spread it out a bit until it sinks into the cake. If you find you have a few dots of unmixed confectioners’ sugar on top, just spread with the back of a spoon and they should disperse. The glaze will sink in and get stickier on top as the cake cools. Once cool, remove the cake from the baking dish and peel back the baking parchment. Slice off the very edges of the cake (they’ll probably be soaked in the glaze mixture, and may look a little ugly), then slice the cake, using a sharp knife, into 30 squares. 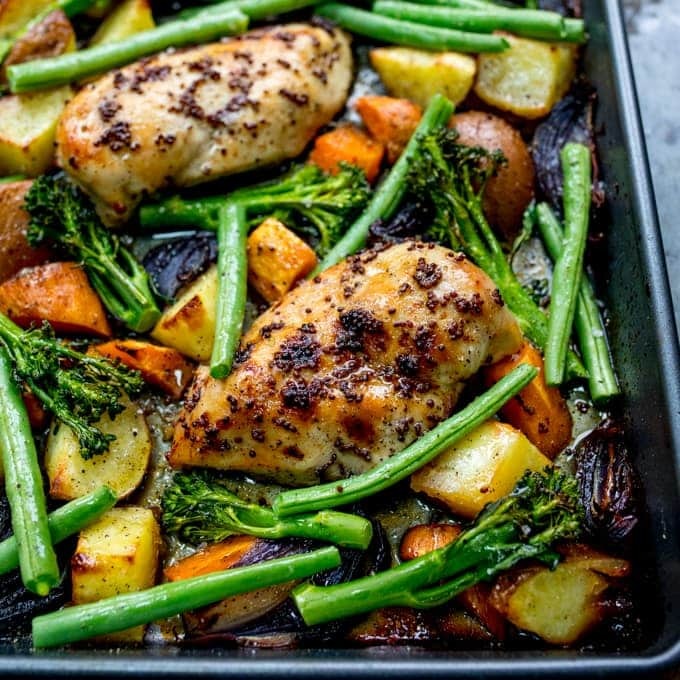 Serve right away, or cover and keep at room temperature for up to two days. Nutritional Information is per serving, using pumpkin puree and whiskey. I love gingerbread at any time of year. I saw a tin of pumpkin puree on offer in the supermarket and I knew exactly what I was going to make with it. I love this recipe and have made it many times now. The whiskey glaze is amazing. I can’t get pumpkin puree so can I use roasted butternut squash and puree myself? 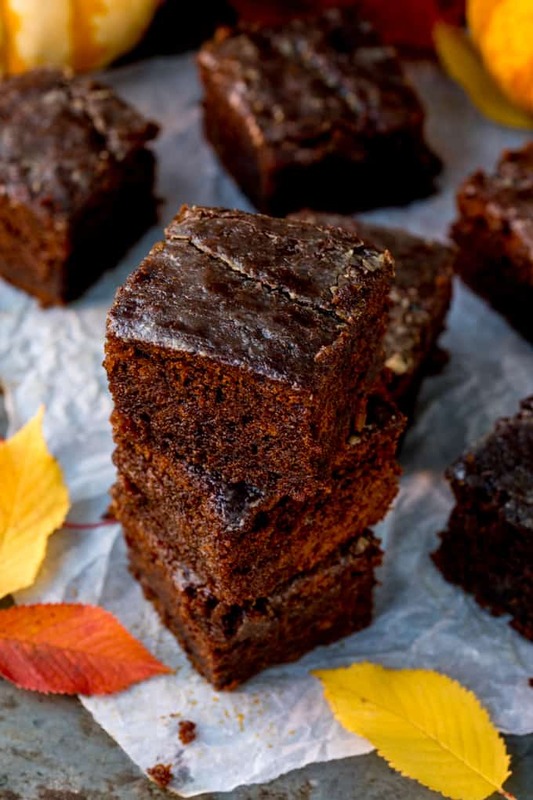 This sounds almost like sticky toffee pudding… but *better* … what a treat! First of all – you crack me up! haha 38 is not old! Nowadays anyway ???? Second – a whiskey glaze where the alcohol isn’t cooked out?? Where can I buy a gallon of that?